Are you a positive, hard working person and enjoy meeting new people? 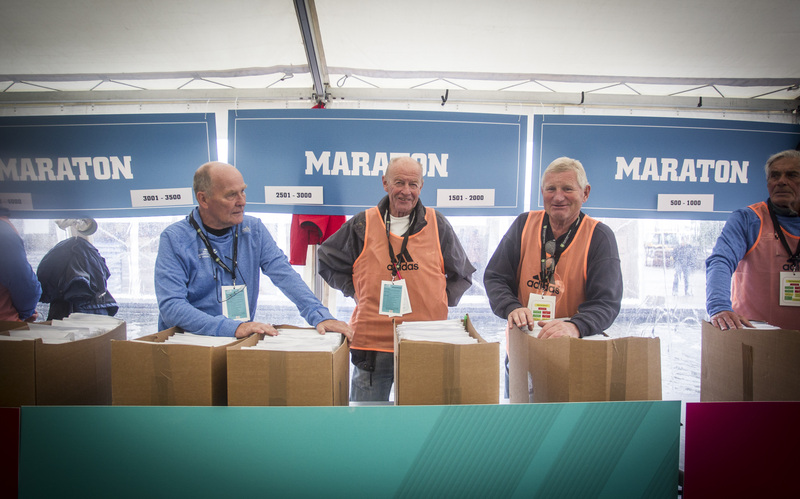 We are looking for volunteers with experience from other events or from previous experience with the BMW Oslo Marathon. We also need people who can contribute to ensuring Norways largest running event runs as smooth as possible. The most important thing is that you are willing to make an effort and give it your all! You will have insight into the implementation of a big event. You will have a new and exciting network. You will be part of a community where everyone works together towards a common goal – an experience and an atmosphere that has to be experienced! You get a nice sweater and backpack from Craft. Below you’ll find more information about the different tasks that we need help with during the event. We need help the days leading up to the event, during the event and the days after. It’s limited places on some of the tasks – so first come, first served – if you want a specific task. This task is to take care of the volunteers, and make sure that the right person gets to the right place and gets the right task. You should also make sure that the volunteers are enjoying them self during the event – that they get food and drink and whatever they need to carry out their tasks. You will have your main base at the City Hall, her you can enter tasks the day before and the day of the event. Here you will make sure that all elite- and trippel participants have what they need in their tent, in addition to general service to these participants before, during and after the event. These guards will help us direct the audience and participants at Rådhusplassen. A nice job where you meet a lot of new people! The heat organizers shall ensure that the runners hold their place in the divided heats. We need more drivers and helpers. The tasks will mainly consist of carrying goods to and from the arena in Rådhusplassen and areas out in the trail. We provide cars and trucks, but we need drivers! If you have a driver’s licence for a truck or other vehicle, we would greatly appreciate your contribution, but we also need drivers with regular driver’s license. Here there are many tasks in advance, during and after the event. We have a long trail, and alongside it we need smiling and helping people who are ready to provide help or information, and give our runners a great experience. You will be the event’s face outwards to the audience, and need to ensure that they also have a good experience in Oslo. The assignments entail, among other things, the building and disassembly of the trail, work at the drinking station and guarding tasks that aim to direct runners, the public and traffic. Here you can take part right where the action is, you get the opportunity to cheer our runners towards the finishing line. The assignments take place along the trail – during the event. 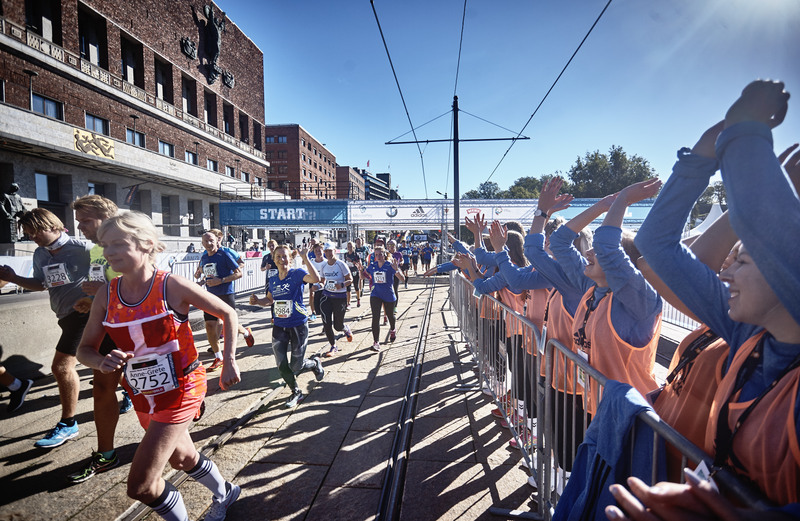 The kids are also an important part of the BMW Oslo Marathon! Thus we arrange a separate activity day for the children during the event. Here they have the opportunity to run their own marathon at Kontraskjæret, and participate in several fun sports activities! This job is for you how want to contribute to the sporting pleasure of the children. Here are several different tasks, including start number distribution, assist in the start and finish area, make sure the kids are doing well and much more! You are back-up and an “all around” helper who steps in where extra assistance is needed or if unexpected need for help appears. This can be anything, so you have to be prepared for whatever comes next, this requires a quick head and a positive attitude! You have your main base at Rådhusplassen and it will initially only be tasks during the event on Saturday. 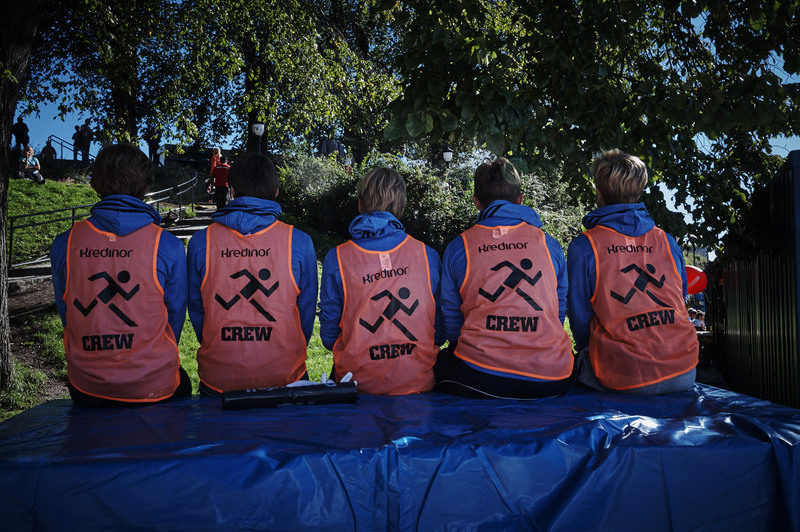 You are our face outwards greeting our runners, and the first they meet at Rådhusplassen. This task is for those who like to meet people, work efficiently and are comfortable at a fast pace. The task also requires a very positive attitude and we wish you meet all runners with a big smile and good service spirit! Your base will at Rådhusplassen, and the tasks are the days ahead and during the event. Distribution of start numbers and T-shirts starts Thursday and ends Saturday. Here we need you who wants to provide good service and being a contact person for companies that have their own tent in the tent-city. In this group you must learn information in advance. You will circulate around Rådhusplassen and be the available to the public and participants. You should be able to answer relevant questions. The most important thing is to be gentle, nice and service minded.